Hyderabad, the city of Mughals and Nizams has a charm about it. Whether we look at the spectacular architecture of its monuments or explore the traditional markets and local cuisines in and around Hyderabad, we will find himself/ herself spellbound by the beauty of it. It is also famous for the growth of IT industry happening at a good pace in it. Hyderabad is also called the software training capital of India. This is the reason why a large number of IT professionals call Hyderabad their home. Hyderabad is the fourth most populous city in India and gives habitat to a little under 12 million people. The rising opportunities in this city is making it a lucrative place to live in. It has become a hub for start ups. Hyderabad has the largest incubator for start ups of India. Moreover, the cost of living in this city is lower than most of the big cities which makes it even a more comfortable place to settle in. People from different parts of the country are moving to this city to earn their living and exploit all opportunities provided by it. Life is unpredictable and unforeseen financial needs may arise at any time in one’s life. It is always wise to stay aware of the options available to borrow money in case an emergency arises. Personal loan apps like CASHe fulfil all the ideal conditions of borrowing money. 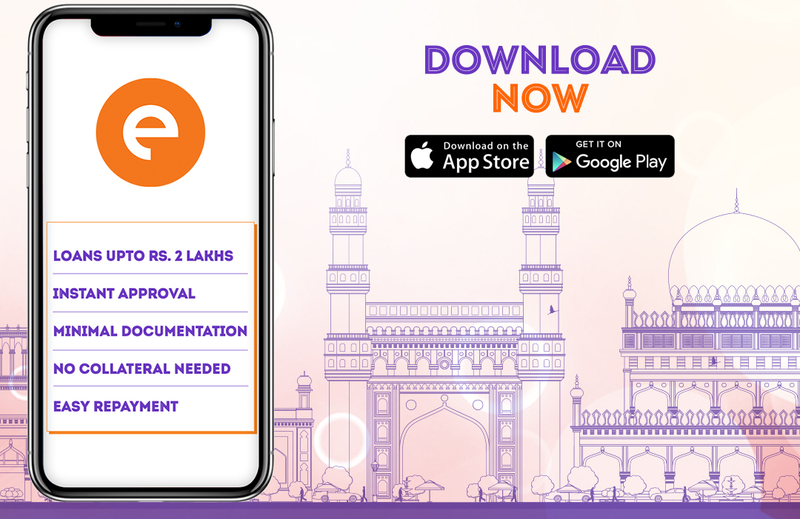 a) Smooth and Convenient Experience – All you need to do is to download the app from Google play store or the appstore. You don’t need a great credit score to avail loans. The only thing needed is a good digital footprint i.e. presence and interactions on social media. Documents that are needed for the process are a copy of PAN card, Aadhar card, latest salary slip, & last three months’ bank statement. The entire process is hassle free and saves a lot of time in comparison to the conventional methods of taking loans. One can avail loans just under 8 minutes. b) Lower Interest Rates – Small personal loans ranging from Rs. 5000 to Rs. 2 lakh can be made available at interest rates as low as 1.5%. So, know your options of borrowing quick money to live more comfortably in this beautiful city.